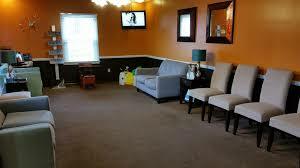 Welcome to North Canton Vision Center where your vision and eye health are our primary concern. We look forward to meeting you and helping you with all of your optometric eye care needs. Our board-certified optometrists offer the highest standards of quality and individualized attention in a relaxed, professional atmosphere. We offer a full range of options to meet your eye care needs. Glasses, contact lens fittings and routine eye tests, we can provide the treatment that is right for you. We stock a large selection of contact lenses as well as fashionable frames - including Coach, Oakley, Ray Ban, Dolce & Gabanna, DKNY, Banana Republic, Nine West, Ralph Lauren, Tory Burch and many more, that are sure to suit your eyewear needs. Our frames are also available to patients who have outside prescriptions and anyone with Medicaid, Caresource, Buckeye, Block, and Paramount. --Need a repair on your glasses? Stop in anytime of the day and get what you need. New nose pads? Did a screw or a lens fall out? Someone at our office will be glad to fix your glasses, anytime you need. If it's something that cannot be fixed in our office, we would be more than happy to send your repair to our local lab for a quick fix!